Pradollano – La Sagra | 120 km. 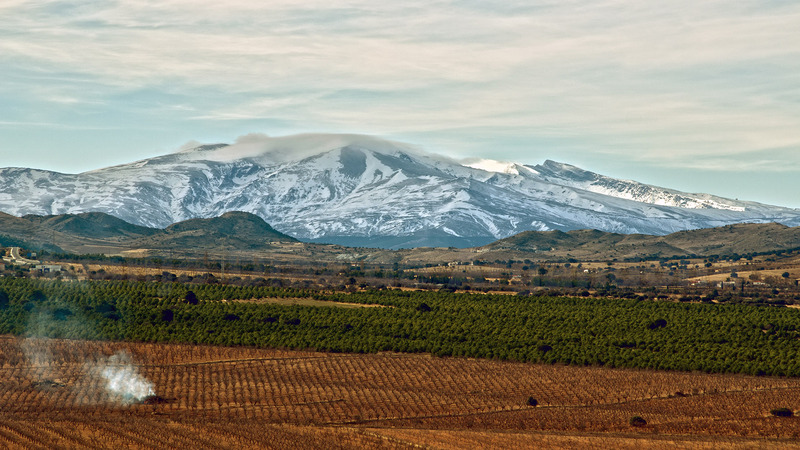 In a clear day in Sierra Nevada, Spain, enjoying the recent snow, I noticed something rising over the horizon. 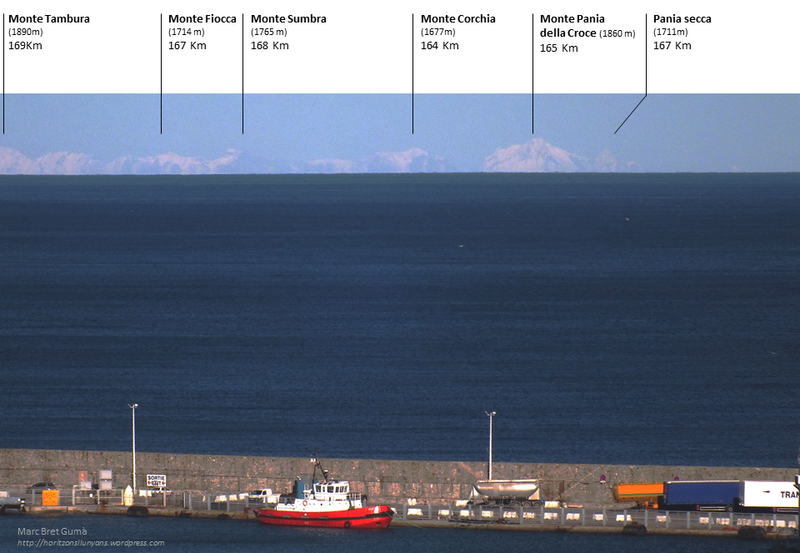 A very iconic mountain, La Sagra, was looking at us from 120 kilometers away. It is an isolated mountain with more than 2.ooo meters and a clear view over the rest of the area. Really a good sighting and also a visit worth it! Cerro de los Guardas – Veleta | 63 km. Sierra Nevada range is a quite isolated mountain range South of Spain, having some of the tallest mountains in our country. Its silhouette is always present when reaching Granada, the closest city. Even not being too far, this is how it looks like. Montseny – Serra de Tramuntana | 239 km. 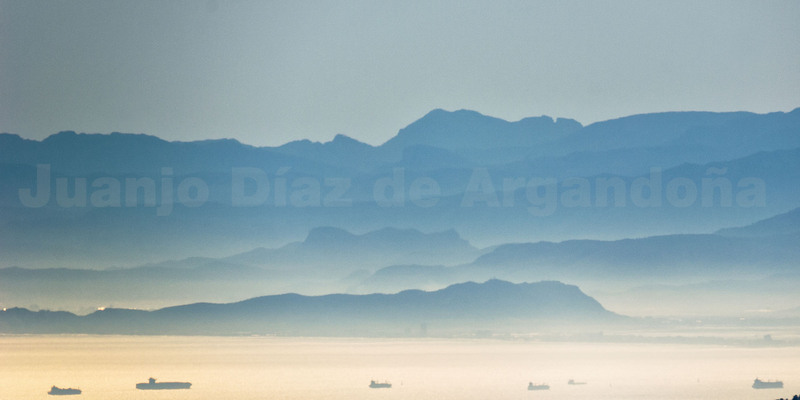 Sometimes, the mountainous landscape of Mallorca can be seen from some points in the Iberian Peninsula. From the highest elevations of the Montseny massif is where you can see the island in its greater length when the air is very clean. Penyagolosa – Puig Campana | 181 km. Once again a distant horizons picture from the summit of Penyagolosa peak in Castellón, one of the best mountains for our purposes, with distant horizons in every direction. This time, looking south. Bastia (Corsica) – Apennines | 172 km. This picture was taken from the citadel of Bastia but the summits can be seen from the harbour or from the beach also. As shown in the image, without snow they would have been invisible. El Teide – Gran Canaria | 110 km. 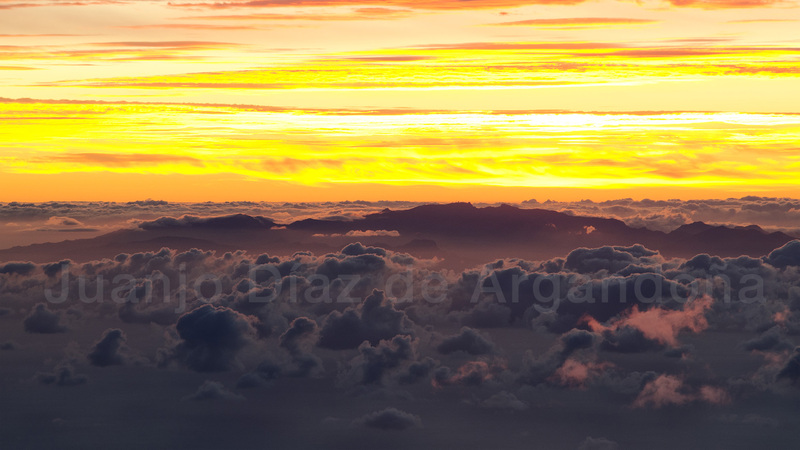 Taken from the summit of pico “El Teide” as the sun rose on the morning of Sunday 16th of November.